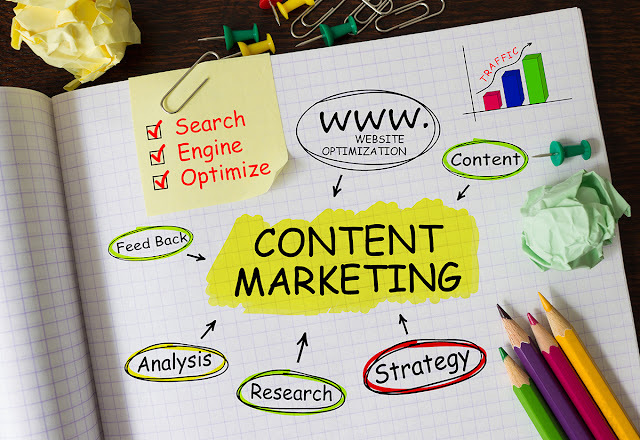 Home brand content writing content marketing content writing What Is Content Marketing? If you're confused and asking the question what is content marketing you're not alone. Read on and by the end of this short article you'll know all you need to know. Most people carry out significant research before making big ticket purchases. Think about the last time you were considering a new laptop/smartphone/car/lawnmower, I'm sure you spent a lot of time on Google and YouTube. I know I do when I'm making an important acquisition! Searching for and reading reviews and opinions, asking friends or even strangers on social media and referring to peer groups are all great ways of finding the right product or service to meet your needs. Plus, in the 21st century with a world of information accessible from the device in your pocket, it's easy to do. Smart companies understand this and have embraced it but what is content marketing, sometimes called inbound marketing, and should you be doing it? In simple terms, content marketing's about understanding your clients' problems and challenges and the decisions they're trying to make. Armed with this knowledge you create content to help them. Still confused? Here's a simple example. Let's say you sell guitars and you've established people starting out are confused about whether they should buy an acoustic guitar or an electric guitar. Let's say you've established your target market are big fans of facebook and YouTube. YouTube's a video hosting site - and it's easy to embed videos on facebook, so creating a help video makes sense. You review some existing videos and recognise they are missing a trick and you could create something way better. You create the video, share it, tweet it, promote it and generally put it out there, sowing the seed in people's minds that you know your stuff. There's no hard sell, although you might nudge people in a certain direction, perhaps getting them to sign up to your "guitar tips" newsletter or something similar. In short, your content attracts people and shows them you're a trustworthy expert. Of course, this is an uber-simple example. In isolation, a single video may have only a limited impact on your business, possibly none, but as part of a content plan it will lead to sales. Attract using great content (blogs, videos, case studies, white papers etc). Engage by presenting a valuable offer. Convert by, over time, showing those you've engaged with that you're the right people to solve their problems. But It's a Noisy World! Simple though this concept is, execution is not as straightforward. We live in a noisy world where it's hard to hold people's attention. Think about the number of videos you've started watching only to abandon them 5 seconds in or the number of promising blog posts that you quickly discarded. Yeah, So Make It Relevant! The only guaranteed way to make your content resonate with a busy, time-poor audience is to make it compelling and relevant. I know I'm more than happy to watch an entire video or read a full article if it hits the spot and solves my problem. Your content marketing activities should engage with people on their terms. You need to be where they are and provide content they want. As already mentioned, make the content relevant, be super specific. Tell a story and show you understand their needs. Consider all the different channels you'll need to embrace to get your content out there (Google search, twitter, facebook, YouTube etc). Make sure your content has a clear purpose. Define how you will measure the effectiveness of your plan. Bear in mind the evergreen nature of content. I won't insult you with a random percentage, but it's widely accepted that buyers trust content that's not selling to them. It's kinda obvious really. This doesn't mean you shouldn't put an offer in there, perhaps a download of something useful in return for some information about the person such as their email address. But avoid the "buy stuff from us" approach, now's not the time for that! Excuse Me, May I Interrupt You For a Moment? Remember, content marketing is different from traditional or interruption marketing. With interruption marketing you buy people's attention, usually inconveniencing them. With content marketing you help them when they are actively looking for help. Don't turn this opportunity into an advert, use it to build trust and awareness of your brand. Content marketing is measurable, cost-effective and it works. Combined with marketing automation, which we'll discuss in a future post, it's a powerful tool that will build your brand and power up your on-line lead generation.